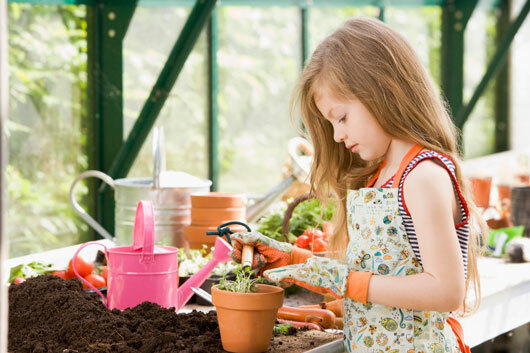 One of the most important things to keep in mind with kids’ gardening is that they will probably make a big mess and a few mishaps and ruined plants are inevitable so don’t sweat it. The last thing you want is for them to find gardening stressful or to feel like it’s a chore. If you’re very particular about your greenery, just mark off a small kids’ section for them to go crazy with. Remember, your enthusiasm is contagious so lead by example and let them know what you love about gardening. Also, presenting them with their own set of mini’ gardening tools will make it impossible for them not to get excited. Sites like Planet Natural and Magic Cabin have some irresistible options. 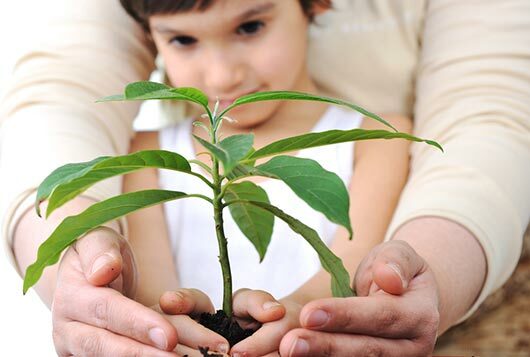 Let the kids choose what they want to plant but be sure to give them a selection of plants that grow quickly and are easy to care for. It’s no fun if nothing grows! If you are starting with seeds, glue the seed packet to a popsicle stick to make a little sign reminding children what they have to look forward to. If they are growing veggies — highly recommended especially if they aren’t eager to eat them — make a point of reminding them over dinner that soon they’ll be able to eat a salad with the carrots they grew themselves. For more inspiration, go online and check out the White House Kitchen Garden, take a trip to the Botanical Gardens if there is one close by or just take a stroll in your neighborhood pointing out the prettiest plots. Of course, gardening with kids should be a time for family bonding as well as an opportunity to sneak in a lesson or two. Even if they’ve got their own little area, invite them to help you too. 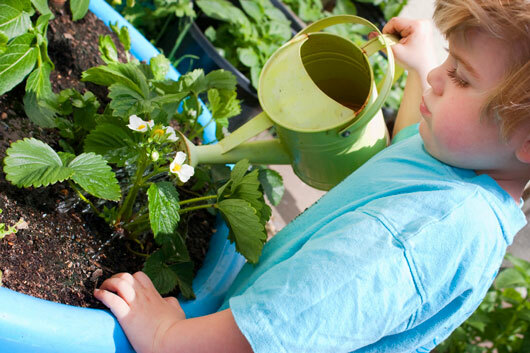 Young children can do simple things like digging holes and watering; older ones can help out with pruning and more complicated tasks. Explain what you’re doing as you go along to help them understand the whole process. If plants die or are attacked by bugs, get everyone involved in looking for solutions online or bring them to your local greenhouse for expert advice.